In a solid marriage, our children are not intended to be our primary focus. The primary emphasis is intended to be the couple’s relationship. 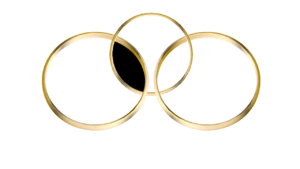 In the illustration of the three rings above, the parents are divorcing so the “ring” symbolizing the child is now on top signifying that the child is now the primary focus. The rings show the importance of the connection between the child and both parents. You may recall how you felt as a child, if someone said anything negative about your parents. More than likely, you immediately became upset and wanted to verbally defend your parent. You may have also chosen to verbally attack them back. It may seem that your attempt to defend was simply an act of love, an act of protection for your parent. Although it is likely part parental love, it is also part self-love. When we defend our parent we are also defending our own self-esteem. This is because a child’s sense of self is strongly linked to how they view their own parents. If they believe their parent is loving and honest, they are likely to internalize these same qualities. If they believe that there is something wrong with their parent, they fear that they are also flawed. If they believe their father is useless and irresponsible then they will fear the same holds true to themselves. As noted by our trade mark for Cooperative Parenting and Divorce, the three rings show how a child’s sense of self links with, and overlaps with, the parents on either side. Subsequently, the next illustration shows the impact when one parent is critical of the other parent in the presence of the child. It can be as simple as the father saying something negative about the child’s mother or simply rolling his eyes when the mother calls to speak with their child. The father’s message is loud and clear that there is something wrong with the mother. Witnessing such actions damages a part of the child’s sense of self. Parents who are going through a divorce or separation must not discuss their negative feelings about the other parent, or the details about the divorce, with their child present. Not only will this place the child into the middle of the parental conflict which creates a tremendous loyalty bind, it will significantly harm the child’s self-esteem. If more parents fully understood the damage committed when they share the details or criticize the other parent, perhaps they would be able to take a step back and quickly eliminate the inappropriate behaviors.